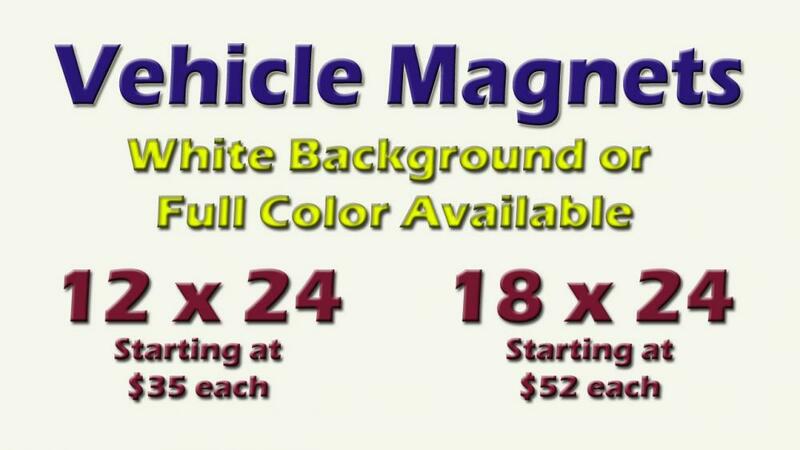 Magnetic Vehicle Signs - Our custom magnetic signs are made from lay flat magnetic sheeting. The entire surface of the sign is magnetic. This is one of the most cost effective and high exposure form of advertising your customers can buy.